Author: Rand, Naomi Set In . . . Single motherhood hit Emma Price like a sledgehammer -- a double whammy to go along with the considerable pressures of her job as an investigator with the Capital Defenders Office. Having to raise a toddler and a troubled teen and dig up mitigating evidence to possibly save an accused murderer from death row is already a considerable load. 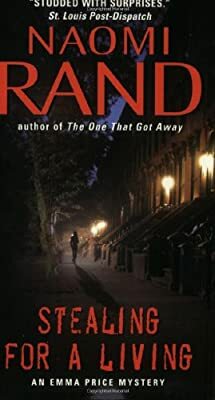 Add to that an eyebrow-raising affair with a New York City cop and a pressing need to solve the slaying of an old friend -- a controversial political activist -- and Emma's already full plate is seriously overflowing. But her dedication to justice is as strong as her commitment to family. And she's not about to let one killer run free while another unfairly pays the ultimate price -- even if it means combing the darkest corners of her own past to uncover the truth.